VAPING: IS IT HARMFUL, AND ARE MY KIDS DOING IT? “Big Tobacco”. Those two words have become synonymous with deadly products, deceptive advertising, and manipulation of our youth. In recent years, anti-smoking consumer advocacy groups like thetruth.com have saturated media with campaigns such as “Let’s Finish Smoking for Good”. And it is working. The most recent statistics from thetruth.com show that only 6% of American teens smoke, a drastic reduction from 23% in 2000. But that is only part of the story. According to CNN, American teens are now suffering from a vaping epidemic. In this entry, we discuss what vaping is, how popular it has become among youth, whether it is harmful, and what signs parents can look for to learn whether their teen may be experimenting with vaping. Vaping is the act of breathing in and then breathing out vapor produced by an electronic cigarette or similar nicotine delivery device. But the vapor is not water vapor as many people believe. The vapor is an aerosol that consists of fine particles, not water. Electronic nicotine delivery systems have been around for almost 30 years. Electronic cigarettes as seen today were first mass marketed in 2007. But in the past few years, the popularity of vaping among teens has exploded. 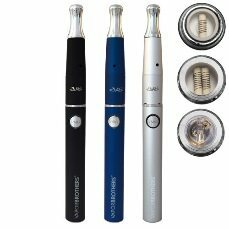 As the popularity of vaping has grown, vaping devices have evolved. A typical vaping device will have a mouthpiece, a battery, a cartridge for storing the liquid (sometimes called e-juice), and a small heater that is powered by a battery. 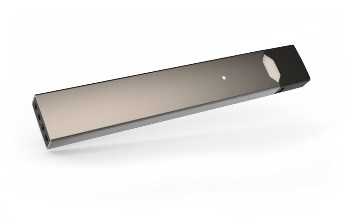 The battery activates the heater, the heater changes the e-juice into an aerosol, and the person vaping inhales the aerosol into the lungs and then breathes it back out. The important part is the e-juice. According to the Center on Addiction, the e-juice is a propylene glycol or vegetable glycerin-based liquid with nicotine, flavoring, and other metals and chemicals. The juice does not contain tobacco. How Popular is Vaping With Teens? Although electronic cigarettes were once a small market with small, independent manufacturers, Big Tobacco now dominates the market. R.J. Reynolds owns the vaping brand VUSE. British American Tobacco owns Vype. Altria, familiar to many under its former name Philip Morris, owns MarkTen. As a result of Big Tobacco’s relatively new dominance in the market, Big Tobacco now dominates the message. And Big Tobacco knows how to hook the teenage market. CNN recently reported on statistics published by the U.S. Surgeon General that vaping among high school students increased by 900% between 2011 and 2015. A 2016 National Youth Tobacco Survey revealed that 1.7 million high school students admitted to vaping during the previous 30 days. An additional 500,000 middle school students admitted to vaping. This spike in vaping among youth is not an accident. The manufacturers flavor the e-juice with kid-friendly flavors such as cotton candy, sour gummy worms, and tutti frutti. The Centers for Disease Control published this statement from its Director: “The same advertising tactics the tobacco industry used years ago to get kids addicted to nicotine are now being used to entice a new generation of young people to use e-cigarettes.” The CDC estimates that 2/3 of kids in this country see vaping advertisements. As Big Tobacco’s annual spending on vaping ads increased from $6.4 million to $115 million, vaping among both high school and middle school students increased dramatically. The numbers do not lie: Vaping is now an epidemic among American youth. Over 2 million high school and middle school students have vaped at some point. It is not difficult to conclude that almost all high school and middle school students who have not vaped have been exposed to vaping in some form, either by seeing a vaping device or by hearing their friends talk about it. This exposure can lead to curiosity and experimentation with vaping. Is Vaping Harmful for My Child? Columbia University recently released findings from a study of e-juice. The study found chromium, nickel, lead, and zinc in the liquid. Heating the liquid through a vaping device, which is required for the act of vaping, resulted in an increase of the lead levels by a ratio of 25 times what they were prior to heating. There is no level of lead that is safe. A study published by the Campaign for Tobacco-Free Kids found that 20% of 8th graders who currently use tobacco products started with vaping. The study authors concluded that vaping is a gateway for cigarettes and other forms of traditional tobacco, with resulting health dangers that are well-known. Vaping is a nicotine delivery process. Nicotine is a drug, and it is powerfully addictive. Studies show nicotine is more addictive than both heroin and cocaine. There is also a growing body of evidence that suggests nicotine can do serious harm to the developing adolescent brain https://www.webmd.com/smoking-cessation/features/teen-vaping#1. Many vaping formulas also deliver formaldehyde and nitrosamines, each of which causes cancer. Data is building that vaping may contribute to heart disease. While vaping may be a reasonable temporary alternative for adults who are trying to quit smoking, it absolutely may harm our youth who are vaping for recreational purposes only. There is no known innocent or harmless vaping. And what about second hand aerosol produced by vaping? More data needs to be gathered, but the International Journal of Hygiene and Environmental Health published the results of a small study that found vaping worsened indoor air quality. Vaping increased the concentration of nicotine, particulate matter, and aluminum in the air. All of these compounds have been linked to cardiovascular disease and lung cancer. Additional studies of the health risks associated with vaping are ongoing, including a large study funded by Big Tobacco. These studies aim to compare the health risks of vaping to those of smoking. These studies may show that vaping is measurably safer than smoking, but caution should be used when reading reports or advertisements about the “safety” of vaping. If vaping proves to be safer than smoking, then it has a valid place in the market as a temporary alternative for smoking addicts who are trying to quit. But parents should remain aware that vaping is not “safe” for teens under any definition. How do I Know If My Teen is Vaping? It used to be easy – teens who smoke cannot hide all evidence of the habit. Whether the smell of cigarettes lingers in clothes, hair, the car, or on the hands, signs of smoking are usually evident to a watchful parent. Vaping is different, but there are subtle and occasionally obvious signs an attentive parent can spot. You may also find thin metallic coils or empty plastic vials in the garbage or your teen’s car. Those are less obvious but still clear signs that someone is vaping. Parents can sometimes find evidence of vaping through smell, but the aroma of vaping can be harder to detect than the smell of cigarettes. The vapor does not stink like smoke. The smell depends on the flavor. It usually smells like something that would taste good. There are numerous flavors, but teens seem drawn to those that smell like mint, fruits such as cherries or coconuts, candy, and similar flavors. Even if your teen is not around and you catch a whiff of something minty or fruity, you may be near vape juice that is hidden somewhere. The smell of vaping does not stick to clothing for long, so learning that your teen is vaping by smell requires a little luck. Finally, be aware of small changes in your teen. Some people who are vaping regularly become sensitive to caffeine. If your teen was a morning latte drinker and suddenly stopped for no obvious reason, she may have developed a caffeine sensitivity. Some people vaping regularly also develop dry mouth and a persistent thirst. This is because the propylene glycol in the e-juice attracts water molecules from its surroundings, including the mouth. If your teen has started drinking significantly more water than normal, do not assume he has decided to adopt a healthier lifestyle. Investigate. Sometimes, teens who are vaping develop nosebleeds. Sudden nosebleeds with no history of such a problem can be another sign that your child is vaping. The data is troubling, so what are we as parents to do? The obvious is to talk to children about vaping, preferably before they reach middle school. If we do not talk to them first, someone else will. We should also be careful not to glamorize smoking in any form. It can be a good idea to open discussions by getting the child’s perspective on vaping. Asking in non-confrontational ways what they think about vaping, whether they know kids who are vaping, and how they feel about whether vaping is dangerous can lead to productive conversations during which we can share the truth. Keeping the lines of communication open will ensure that our youth know we are talking with then, not at them. More information on taking to teens about vaping can be found here. https://www.nytimes.com/2018/02/14/well/family/how-to-talk-with-teenagers-about-vaping.html. There are a few vaping lawsuits across the country, but currently the landscape is favorable for vaping manufacturers to continue escalating their marketing efforts. At this time, Riley & Jackson is investigating lawsuits for those who suffered “popcorn lung” as a result of vaping.